Home » Latest News » National Youth Science Forum…Here We Come! National Youth Science Forum…Here We Come! Forum. The National Youth Science Forum is a program that is unique within Australia. It offers students currently in Year 11 the chance to learn about and try-out a wide variety of universities and careers in the scientific realm. 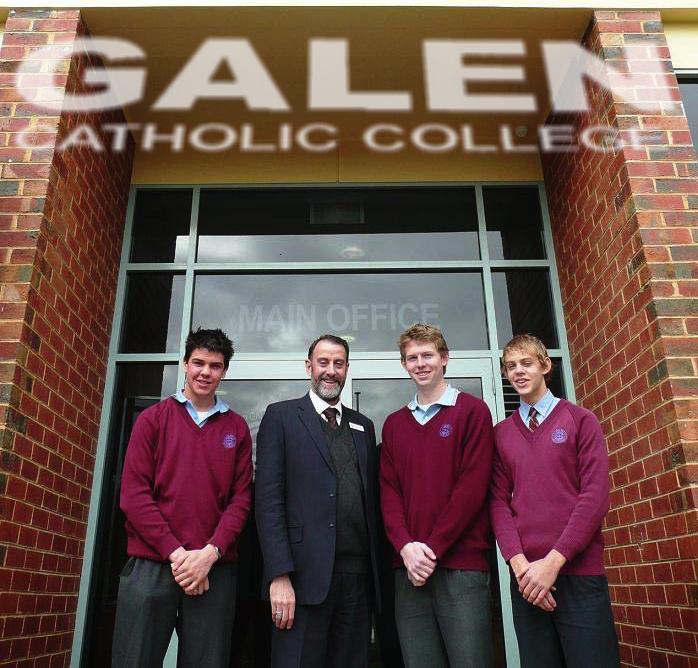 Students Michael Naughtin, Fletcher Barnes and Chris Traill (pictured with Principal Mr Bernard Neal) are not only proud, but very excited to have been selected. Out of approximately 60 students in this Rotary District who applied, 23 were successful. For three of those students to come from the one school is quite a considerable achievement. “We are all looking forward to the chance to make friends and get to know like minded young students from all around Australia. With almost 150 participants at each session there is going to be a lot of opportunities for us to meet people and make contacts” says Michael.